plan for a new business venture. talk confidently in business meetings. break through barriers to growth. fast track your plans for change. Creating new opportunities. Innovating business goals. Energising people. Sustaining business growth. Helping you build a better business model. We provide a professional team at a fraction of the cost of full-time staff. Do you need vital skills in starting a business, speaking with confidence and winning pitches? Our workshops will boost your personal performance and encourage you to dig deep to achieve success. Are you looking for structured approach to running your business? Our hand-on business mentoring sessions will help you make action plans that get measurable results. Is your business starting to fall behind the competition? We can help to energise you, your business plans and your staff. Let's go! Are you at a crossroads in your career or your business? We have many courses and workshops to help you improve your business or career prospects. We enjoy our work and are proud to say we have successfully delivered projects for many companies both great and small. We can proudly state that we continue to work with many of our clients in helping them build a better business model. David has experience in management systems and UKAS Accreditation. 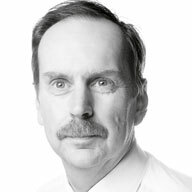 Richard has experience in engineering research and global sales. "This was an excellent strategy workshop and has made me look at rationalizing my range to a more realistic level. I have also benefited from the learning on supply chain strategy. I would recommend anyone taking time out of their business to look at changes that can be made." "We had an enjoyable and productive planning session attended by our management team. As a result we have a number of production improvements and a sales plan in place. The strategic session focussed on the direction of the business, giving a much clearer vision of how to take it forward." "The strategy workshops were extremely helpful and thought provoking exercise. It has caused us to rethink a number of the ways that we are working. Discussing issues with such a knowledgeable and helpful group of business people helped not only to identify problems but to see solutions to them." "We found the group activities to be very useful in strategic thinking and team building. Now to build on the conclusions of the workshop." "Outstanding content and structure to the session. Creative ideas and relevant experience helped move the day along. A really helpful session. Would recommend." "Beyond have helped Evoke develop a structure that delivers substantial improvements in production efficiency. Beyond continue to offer excellent support." "They embedded themselves within our team and implemented ongoing process improvement solutions. They are reliable, trustworthy and highly dependable. I look forward to working with them on the next project." "Steve is customer focused. He delivers a professional service which is effective and will leave a lasting impact on the business. I would have no hesitation in recommending their services. Excellent value for money." "The session went really well and provided a valuable overview of the business. I found their style to be relaxed, informative and very constructive. We have an action plan and a great list of contacts and suggestions to tale our business forward into a new era." For more information about our services or to find out how we could help your business, please contact us. Grae has extensive experience in supporting small and medium size business owners with the management of people processes and technology. Grae is a experincved workshop facilitator, motivational speaker and an evangelist of business process improvement. he gets the job done and loves his work. 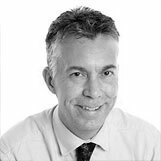 David has worked in the management system arena for over 30 years with private companies and UKAS Accredited Certification and Notified Bodies. 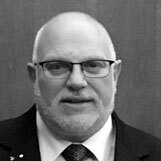 David has worked in the electrical engineering, automotive engine design, paper manufacturing, metal and plastics, security, automotive manufacture, finance, management system and product certification sectors. Jason has applied his process improvement expertise to a variety of industries ranging from the hard skills world of manufacturing to the soft skills worlds of hospitality, customer service and training. Inquisitive, and with an eye for detail, Jason is always on the look out for opportunities to simplify and rationalise repetitive tasks at any level. During 40+ years in business as a manager, owner and entrepreneur, alongside a lifetime spent in and around that same environment, Ben Jackson has been supported, mentored or coached by many very genuine individuals. However he has also encountered far too many other individuals and organisations that were effectively just ‘in it for the money’, giving little regards for the impact on the person that they were supporting. This led him to a place where he has a very clear understanding of his WHY. 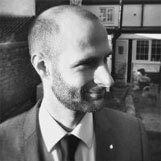 Ben is passionate and committed to making available affordable, accessible and appropriate mentoring for business owners, would be owners as well as not for profit and voluntary organisations. 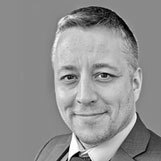 Tim has 20 years experience working extensively in the Motor Industry in the UK, Europe and Globally. Specialising in Lean applications in both Manufacturing and Service industries, his experience spans Lean in Automotive, Financial Services and IT areas in addition to the more conventional Lean Manufacturing experience. 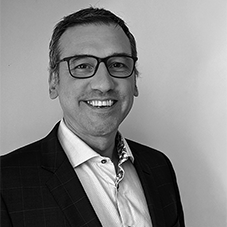 With considerable experience in developing bespoke Lean Training, Organisational Development and Operational excellence focussing on developing competent and confident Lean expertise within your own company, Tim brings a wealth of experience and skills to the Beyond Touch team. facilitating customer experience analysis and delivering innovation workshops. we help you to design new goods & services and market them more effectively. delivering training sessions and one to one mentoring. we offer tactical and strategic guidance on people management, process improvement, and business planning. helping you to build a bigger, better business model. we analyse your organisational structure, maximise your use of resources and develop plans for value creation. designing business systems and mapping processes. we help you to identify bottlenecks, reduce waste, maintain quality, improve productivity and sustain growth.